Results 351 to 360 of 433. This report examines why strategic thinking and planning are often problematic; the report then describes a practical new approach that provides a framework for success. Get the strategies and tips you need to start an economic gardening program in your community, to grow the local economy from within. 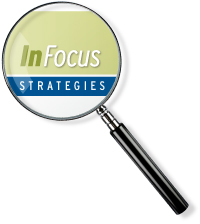 This InFocus report provides a guide to steps most commonly used by local governments making decisions about strategic IT outsourcing. Discover steps and tools for pursuing both economic development and environmental protection at the same time.